ALL of Liverpool's available stars will be travelling to Australia for a post-season friendly with Sydney FC, Jurgen Klopp has confirmed. With news of Steven Gerrard, Jamie Carragher, Steve McManaman and Daniel Agger's involvement in the game, some Reds fans had feared a significantly weakened squad would come down under to play Sydney FC on Wednesday, May 24 at ANZ Stadium. The four legends were announced to play in a team of past and present players to help honour the club's 125th anniversary (officially marked on June 3, 2017). 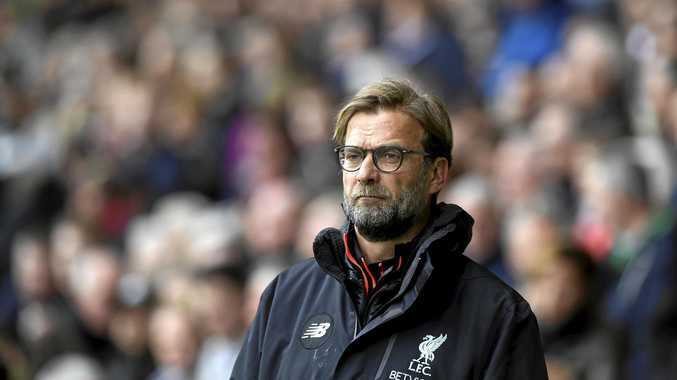 But Klopp has said he expects his full contingent of England internationals to travel to Sydney for a game that comes three days after their final Premier League fixture. Jordan Henderson, Adam Lallana and Daniel Sturridge have all been suffering from injury woes, which could impact their involvement, while Nathaniel Clyne could be called up for England's World Cup qualifier with Scotland a month later. Yet Klopp insists a strong squad will be involved in the trip, even if they don't play in the game. "We will go with pretty much everybody," Klopp was quoted as saying in The Guardian. "They will all go there even if they don't play. They will be involved with other things. We are not sure, there are one or two [who could miss the trip] but that involves other things and not international call-ups. "We will show the best and nicest faces of LFC. There is no final decision at this moment. "What we can say is 100% yes - we want to present Liverpool as good as possible and it makes sense to import these legends. They're really happy about it."